David comes to Newnan Presbyterian after serving eight years as an Associate Pastor at Shandon Presbyterian Church in Columbia, South Carolina - for five years working with youth and families and the last three years as a general associate focusing on worship, pastoral care, and administration. 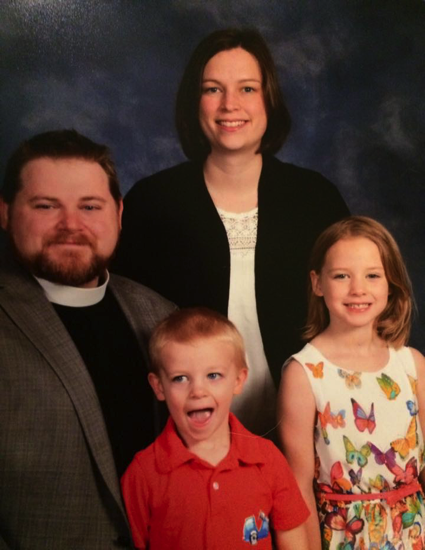 David is a graduate of Union Presbyterian Seminary in Richmond, VA where he received his Master of Divinity and Greensboro College in Greensboro, North Carolina where he received his Bachelor of Arts in Religion with minors in Women’s Studies and Youth Ministry. David is married to Darcie Jones, who is an ordained minister in the Cooperative Baptist Fellowship. They have two children, Laney who is six years old and will begin first grade this fall and Trey who will be four years old on October 13. The Jones family is excited to begin this new adventure in Newnan and look forward to years of wonderful ministry together.